VANCOUVER, British Columbia (CNN) - Secretary of State Rex Tillerson declined an opportunity to clarify whether President Donald Trump has spoken with North Korean leader Kim Jong Un, after the President alluded to possible communications in an interview last week with The Wall Street Journal. 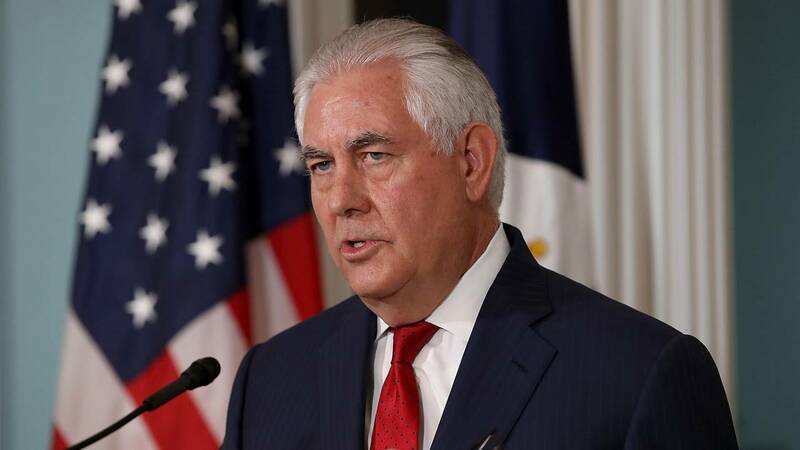 The top US diplomat said Tuesday that he did not think it would be "useful" to confirm or detail any possible discussions publicly because tensions on the peninsula over North Korea's nuclear program are at a "very tenuous stage." "When we get into who's talking to who, and what was said -- if we want that to be made known or made public, we will announce it," he told reporters at a news conference in Vancouver. The remarks closed a day of meetings between the US and key allies over how to handle the increasingly aggressive North Korean nuclear and ballistic missile program. In all, 20 countries participated in the summit. Tillerson also declined to say whether the US was open to a limited military strike on North Korea's infrastructure to prevent broader conflict, saying, "I'm not going to comment on issues that have yet to be decided among the National Security Council or the President." Asked whether Americans should be concerned about the potential for war with North Korea following a false missile launch alert in Hawaii over the weekend, Tillerson offered grim words of caution. "I think we all need to be very sober and clear-eyed about the current situation," he said. "We have to recognize that that threat is growing, and if North Korea does not choose the pathway of engagement, discussion, negotiation, then they themselves will trigger an (military) option." Nevertheless, Tillerson once again emphasized that the United States and international community would prefer to resolve tensions diplomatically by negotiating an end to the North Korean nuclear program through talks, spurred by the increasingly heavy economic toll that international sanctions are having on the isolated country. "What we hope they're able to realize is, the situation only gets worse," said Tillerson. "It gets worse with each step they take. It gets worse with time." "It's time to talk," he added, "but they have to take the step that says they want to talk." Asked whether the escalating rhetoric between Trump and Kim risks triggering a nuclear catastrophe, Tillerson's Canadian counterpart, Chrystia Freeland, emphasized that blame for the tensions lies squarely with the North Korean regime. "The source of the threat to the international community, the source of illegal actions, the source of the nuclearization, is North Korea," she said. Earlier in Tuesday's news conference, Tillerson said the US relationship with African nations remains strong following Trump's reported use of the phrase "shithole countries" to describe them. "We have a very positive relationship with African nations -- we share a number of security issues, we share a number of economic development issues -- and I think those leaders know that the United States wants that relationship to continue to be strong," he said. "We know they want that relationship to be strong, as well." Trump faced a wave of international outrage after reports emerged about his remarks last week in a meeting with lawmakers on immigration. The President has denied using the vulgar term, but several lawmakers assert he did.